When inflammation occurs in the eye, it is referred to as Uveitis. While inflammation can be caused from an infection, it often occurs from over-action of the body's own immune system, much like the joint inflammation in arthritis. Similar to an arthritic joint, the eye can become red and swollen and the vision can be blurred. While uveitis usually occurs for no apparent reason, autoimmune disorders such as rheumatoid arthritis, sarcoidosis, or ankylosing spondylitis make people more susceptible. Any time inflammation occurs in the eye, we must rule out an infection by a careful eye examination and occasionally blood work. The most common form of this disease is anterior uveitis, which involves inflammation of the front part of the eye and is known as "Iritis". If the entire eye becomes inflamed (termed panuveitis, vitritis, or retinitis), the retina is often affected and swelling and blood vessel changes can occur. Different symptoms occur depending on where the primary inflammation occurs. Vision changes vary from mild blurring to inability to read or drive. Uveitis in the front of the eye (iritis) often leads to a red, uncomfortable eye that is very sensitive to light. If the vitreous jelly becomes inflamed (vitritis), people often see an increase in floaters. If the retina becomes involved (retinitis), moderate to severe vision loss can occur. There are multiple treatments for Uveitis depending on the severity of the episode or disease. Eye drops, steroid injections, oral prednisone, immunosuppressive medications, or even surgery or steroid implants are used to control the inflammation. Most episodes of uveitis are mild and respond well to a series of eye drops. Unfortunately, uveitis can return after treatment is stopped so care must be taken to watch for any recurrence in symptoms. In rare cases, uveitis can be severe, chronic, and affect both eyes. These cases require aggressive, long term treatment to preserve vision. 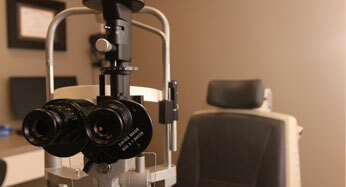 In cases where long term steroids as used, we carefully monitor the eye for signs of glaucoma. Novel drug therapies have been discovered that are able to effectively treat many different eye diseases. Because the eye is a "safe harbor", eye drops, oral pills, or IV medications don't enter the eye well enough to produce the desired long-term effect. Over the past 15-20 years we have discovered a few different medications that are safe and effective when injected directly into the vitreous jelly which fills the eye. This allows the medication direct access to the inside of the eye where it can remain effective for weeks or months with a single injection. Avastin was initially developed as a chemotherapy used to treat cancer. It works by attacking abnormal blood vessels that feed the cancer cells. In 2005 it was discovered that Avastin could be injected directly into the eye and stop abnormal blood vessel growth that occurs in various different eye diseases. Initially, it was found to be effective in patients with "wet" macular degeneration who would otherwise develop legal blindness. Lucentis is a smaller Avastin molecule that has undergone more extensive testing and is FDA approved for use in the eye (currently for "wet" macular degeneration and vein occlusion). Both medications are used commonly throughout the USA and the world and have revolutionized treatment of many eye conditions. Steroid injections into the eye have been effective for some time at treating swelling or "edema" of the retina. They are also used in management of uveitis and other diseases that cause inflammation in the eyes. While they have proven to be safe, they are known to cause worsening cataract over time and can cause the eye pressure to rise. While this usually is temporary and can be managed with drops, occasionally people can have a pressure spike, develop glaucoma, and even require surgery to bring the pressure down. The fear of getting a shot in the eye causes a significant amount of apprehension among many of our patients (and rightly so!). Fortunately, all of our doctors are specialty trained and have extensive experience both administering eye injections and managing any possible complications. 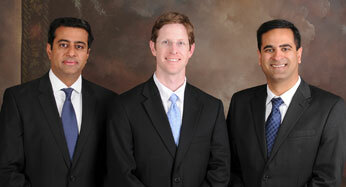 Our staff is compassionate and will make sure you are as comfortable as possible during the procedure. 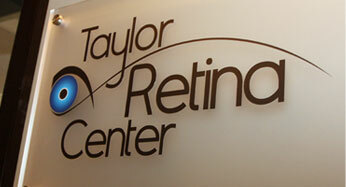 Our physicians perform each eye injection in a safe and almost painless fashion. As with any needle entering the body, there is a small risk of infection. Fortunately, this is rare and occurs in less than one in a thousand shots. An infection occurs a few days after the shot when the vision suddenly becomes blurry and cloudy and the eye becomes sore and red. This is an emergency and requires an urgent examination and treatment because vision can be permanently lost. If you have any concerns after a shot, please don't hesitate to call us directly at any time.